+ Vit C Mask boost skin vitality. 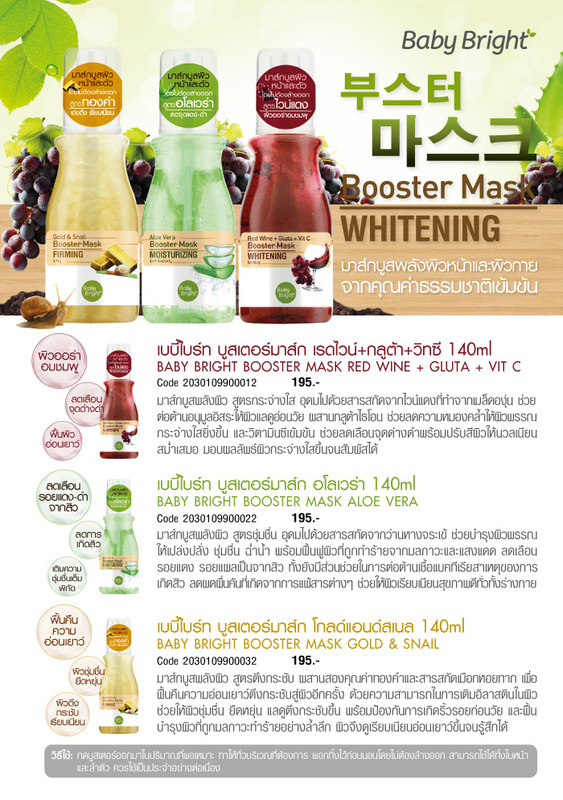 Clarity formula Enriched with extracts of red wine made from grape seed. Anti-oxidant to the skin to look younger. Glutathione glutathione glutathione. Reduce dull skin. out skin tone, giving a flawless, radiant skin. Acne scars It also contributes to the anti-bacterial causes of acne. Reduce the rash caused by allergies. Leaves skin smooth, healthy throughout the body. Mask boost skin vitality. Tightening formula Merge two gold and snail slime extracts. To regain youthful tightness to the skin again. With the ability to add elastin in the skin. Helps moisturize the skin, tighten and tighten. Prevents premature aging. The skin is deeply damaged by pollution. Skin is smooth and youthful to feel.